We’ve seen numerous great handsets at MWC 2018 so far, covering a wide range of appealing features and budgets. But naturally, the most eyes fall upon what’s next from the well-known flagships in the smartphone arena. LG is taking a backseat this Spring (not really counting the V30 refresh that brings very minimal updates), so that just leaves Samsung and Sony to duel it out. But most folks (especially in the US) wouldn’t even consider it much of a fight at all. Samsung’s mobile division vastly trumps Sony’s. And it doesn’t help that Sony smartphones have no presence in US carrier stores, or aren’t able to be imported with working fingerprint scanners. 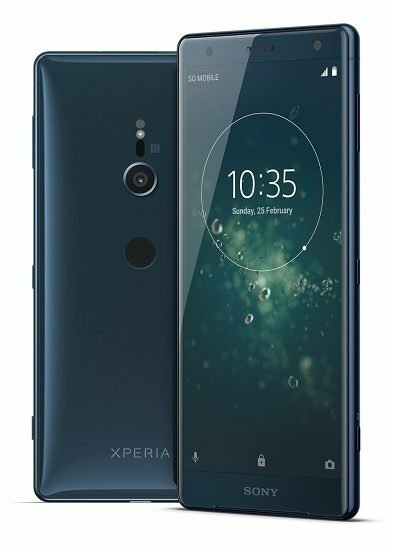 However, with the new Xperia XZ2 (and XZ2 Compact), Sony is finally addressing these problems. Not only that, but the new XZ2 design makes the largest push forward for the Xperia line, positioning it neck-to-neck with the colossal Galaxy S9. The XZ2 actually outdoes the Galaxy S9 in a few ways, which we’ll cover now. By now, it’s not a standout feature to have a display that can render HDR content in a top-tier smartphone. But the Xperia XZ2 is uniquely going all-in with HDR support. 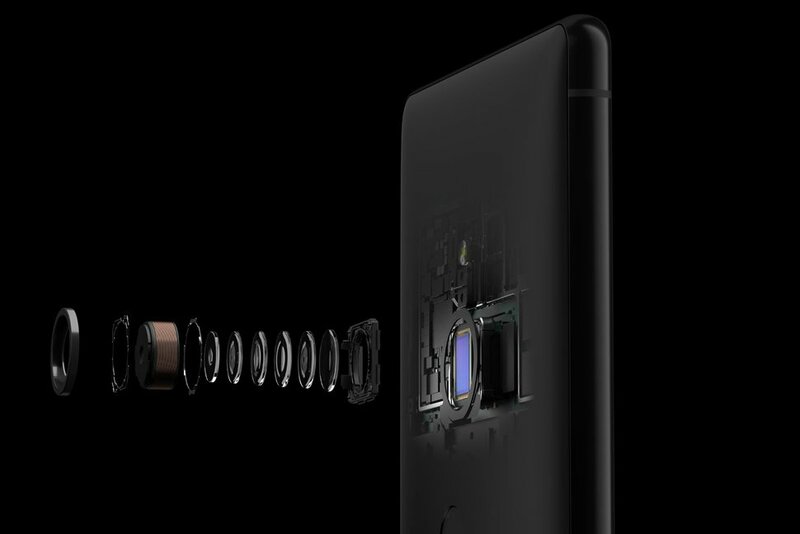 The 19MP rear camera (which also has 7 more megapixels of capture resolution than the Galaxy S9) is capable of recording HDR with its 4K video capture. This feels like something we should’ve had from the beginning, as a significant source in taking advantage of our HDR-capable displays. But that’s not all. HDR is still not fully adopted by content creators. So Sony set up its X-Reality display engine to upscale non-HDR videos to “near HDR” quality. Suffice to say, if you want the full benefit of HDR tech, then the XZ2 is the best smartphone right now. One of the Galaxy S9‘s big selling points is its camera’s ability to capture up to 960 fps slow motion. But Sony was actually the first to the feature, and quite a while ago with the Xperia XZ Premium early last year. This means that while Samsung is at its beginnings with the feature, Sony is improving on it with its follow-up smartphone. What does that mean? Well, the drawback of shooting at such a high frame-rate means that resolution has to be dialed down. Like the XZ Premium, the Galaxy S9 caps out at 720P with that ridiculous max fps count. However, the new XZ2 can do it with a much clearer Full HD resolution, that is, 1080P. Sony tends to do its own thing when it comes to developing technology, and this next feature is a perfect example of that. 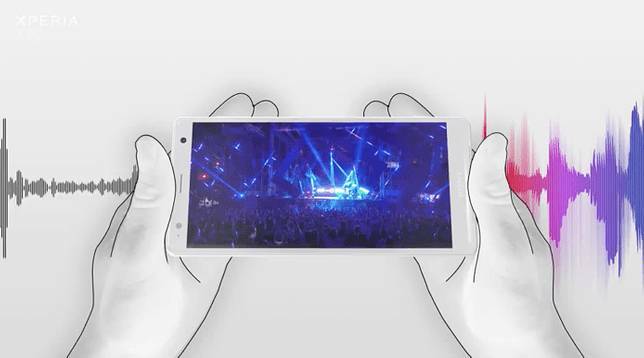 The XZ2 has another degree of haptic feedback, that is, its vibration motor (dubbed the Dynamic Vibration System) plays a larger role in the smartphone experience. The component itself larger than the conventional smartphone vibration motor, and has a varying amount of intensity. So what’s the purpose? It’s meant to add another sense to multimedia consumption. Not unlike the DualShock vibration long in Sony’s PlayStation controllers, you’ll feel extra rumble in more intense moments of your media (movies, music, games). Sony also lets you adjust the sensitivity of the system as desired. As covered in our Smartphones with the Best Speakers list, there are only a handful of handset makers that don’t give up on the superior audio experience given by front-facing stereo speakers. Sony happens to be one of these. Sure, the Galaxy S9 gained dual speakers this year, but only one of the speakers is facing in the right direction (the other is bottom-facing). And yes, it does make a significant difference. And that’s not all. Over the years, Sony has developed a simulated surround-sound system in their speakers called S-Force, which has been used in the company’s soundbars. Well, now the tech comes with the XZ2 speakers. 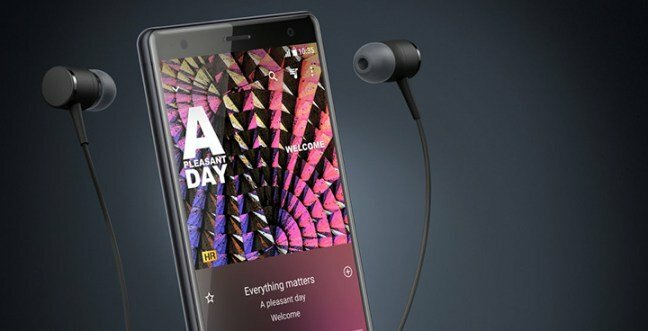 We haven’t used either handset yet but would bet that the S9’s audio set up won’t hold a candle to the XZ2. Unfortunately for Samsung fans, the Galaxy S9 (and S9+) use the same battery capacity as they did last year (and the year before!). This has made it easy for the competition to one-up them in the battery area. Sure, the Snapdragon 845 chipset comes with better optimization that should result in a battery life improvement from the year before, but remember that the XZ2 will get those same optimizations, as it also uses Qualcomm’s new flagship silicon. 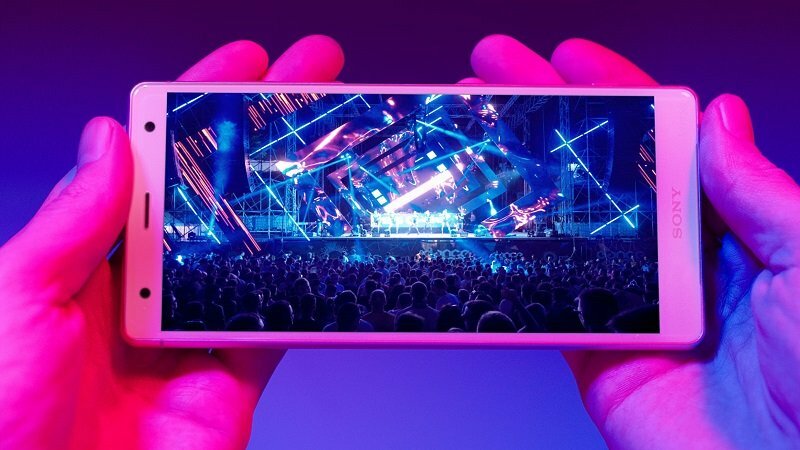 And it has 180 mAh more capacity than the standard Galaxy S9 (which is its corresponding competition considering the XZ2’s 5.7″ and Galaxy S9’s 5.8″ display sizes). 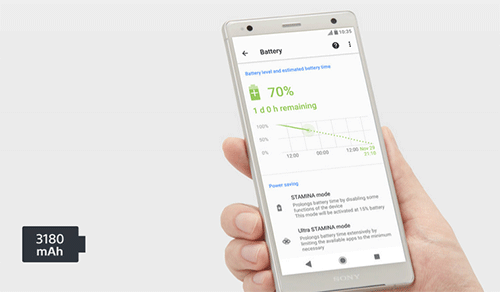 We also can’t forget that Sony has a history of strong battery life results from its own efficient software optimizations. 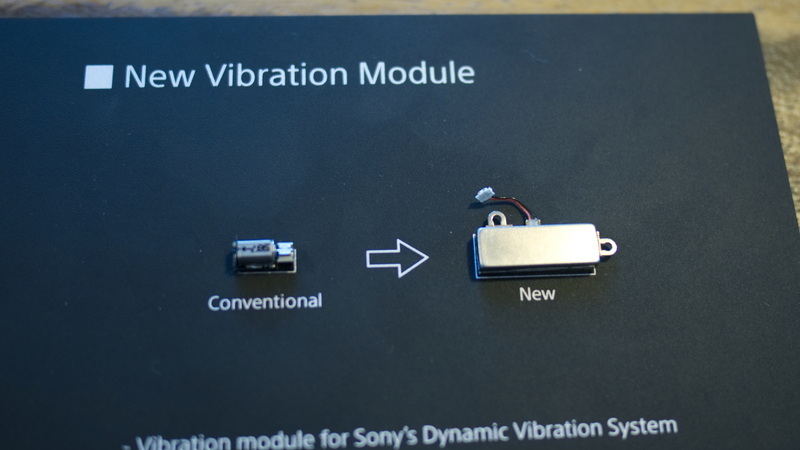 It was a bummer to learn that Sony is joining the trend to drop the historic 3.5mm audio jack with the XZ2, especially knowing how Sony is dedicated to high-res audio in other parts of its business (it still regularly pumps out audiophile-grade digital audio players). It also doesn’t help the argument of this list when Samsung continues to support wired audio. But fortunately, Sony doesn’t completely leave us hanging, like others that kill the audio jack. 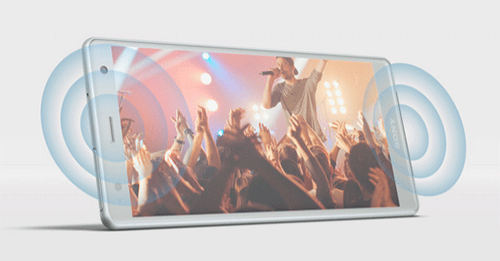 The XZ2 is equipped to support every high-res wireless standard out there, that is, aptX (up to 352 kbps), aptX HD (up to 576 kbps), and Sony’s own codec that achieves a near CD quality wireless transfer of 990 kbps. The Galaxy S9 appears to only offer aptX. Smartphones have converged on large displays, which is to the dismay of the many users still out there unyielding to give up on one-handability. I personally love having a large display, but can sympathize with this minority, especially in those times when I fumble my phone and nearly have a heart attack. The 5.0″ XZ2 Compact matches its bigger brother’s excellence. Sony is the only smartphone manufacturer that has dependably looked after these users. Not only does it try as much as possible to retain all the top-end specs of the main flagship in the “compact” device, but it continues to offer a smaller variant to this day (where compact devices have about all been dropped by the industry). The Xperia XZ2 Compact keeps a lot of what makes the XZ2 awesome (like the Snapdragon 845 chipset and upgraded 19 MP camera), but in a more manageable 5.0″ display size package. You do lose the new Dynamic Vibration System, the pretty glass back, and wireless charging, but I’m sure most will agree that these are minor setbacks. The XZ2 in new Deep Green color. 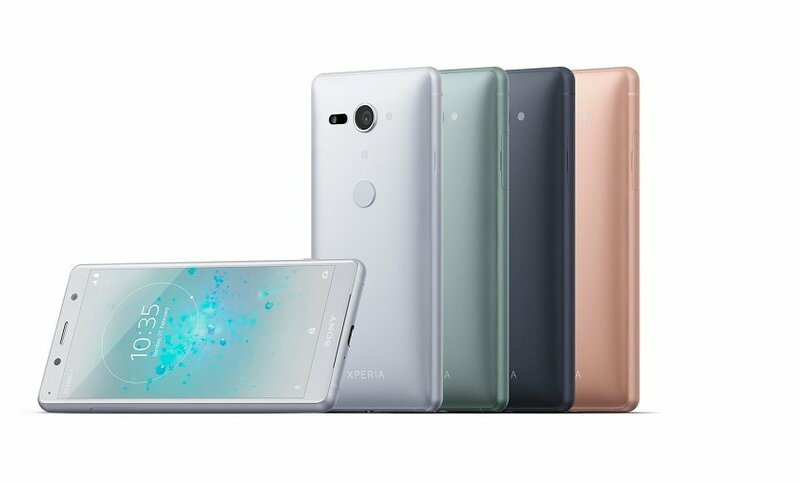 Unfortunately, two significant unknowns with the Xperia XZ2 are pricing and availability. Samsung not only has a definitive date for the launch of the S9, but it’s real soon, on March 16th. This comparison doesn’t hold much weight if you won’t readily be able to get your hands on the XZ2. But at the announcement, Sony suggested that it’s trying to work things out. And it’s hopeful knowing that the fingerprint scanner debacle for US units has finally been taken care of. For more details on the Xperia XZ2 and XZ Compact, check out our coverage here. We’d like to hear your thoughts on Sony’s renewed effort in the Xperia line. Are you guys excited for what’s coming or is it not enough? Sound off below!